The Aldershot athlete has Olympic goals but firstly has an Olympian’s wedding cake to bake! 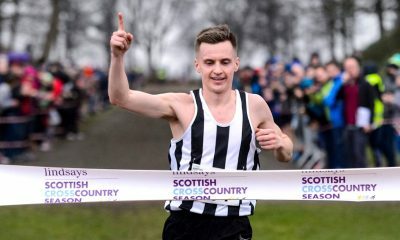 Louise Small has worked hard to balance a teaching career with her current position as one of GB’s most consistently high performers over the country and track. While she is now putting her job on hold to pursue further education and concentrate on her running, she is aware of how far she has come since she first started out in athletics 12 years ago. 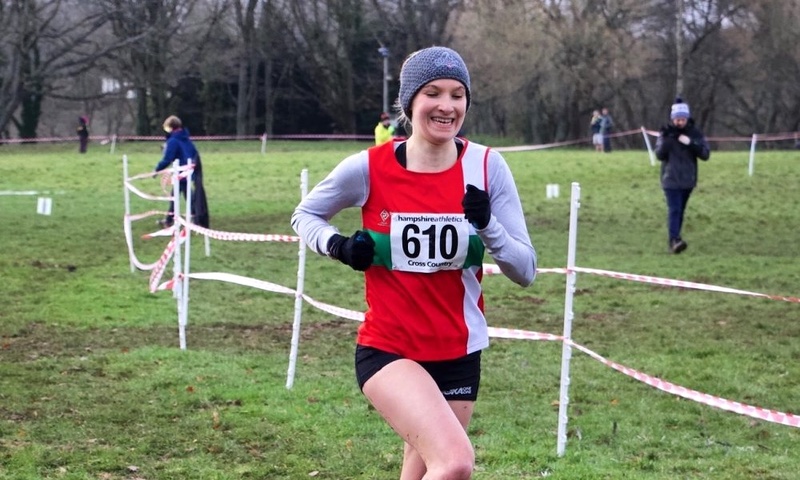 The Aldershot, Farnham & District star – whose career developed alongside the likes of Steph Twell, Lily Partridge and Charlotte Purdue – was scouted by her coach, Mick Woods, at a local cross country race aged 14. She hasn’t looked back since. Along with multiple cross country medals both domestically and internationally, she has also achieved times of 15:40.5 and 32:32.73 on the track and 33:20 and 73:47 on the road in the last two years. The two 10km personal bests came within the space of four weeks but unfortunately came at a price. 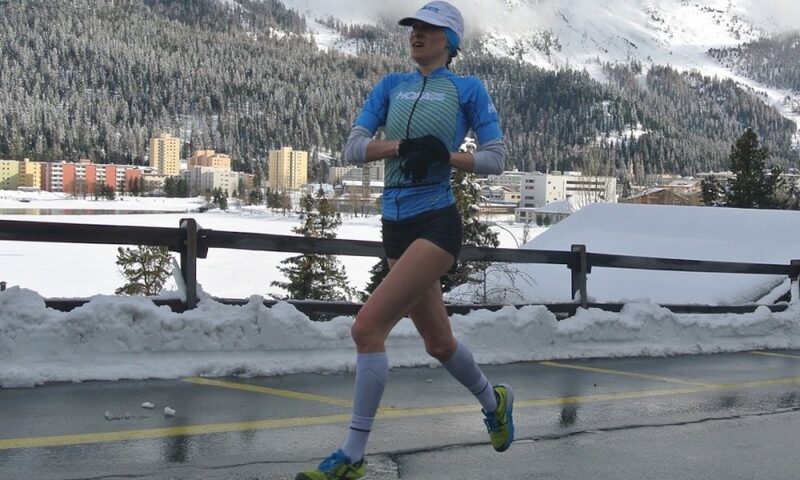 Small ran her road PB in Poland when winning the Oshee 10k, straight off a period of altitude training in St Moritz. However, unbeknown to her she had picked up a stress response in her quad during her time in the Swiss Alps. 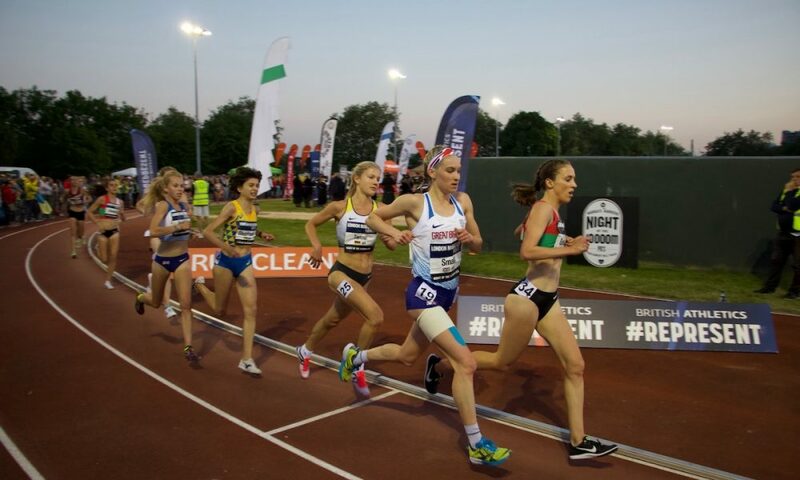 This meant her consequent training for the Highgate Harriers Night of the 10,000m PBs a month later was mainly completed on the bike, the cross trainer and in the pool. Incredibly, Small managed to defy the odds when she took to the track at the Parliament Hill event, winning a national bronze medal and a 22 second PB. This was while her leg was bandaged up and she had no idea of what form she was in! That helped her relax ahead of the race, removing any pressure or expectation from her young shoulders. “I was still in pain so the race was going to be a big gamble – I wouldn’t recommend what I did,” she reveals. “Although I’ve since spent the rest of the summer on the sidelines, I don’t like regrets. I stand by the decision I made at that point in time. “I feel I ran well because I had taken all pressure off myself. I’d no idea what to expect, but was the most relaxed I’ve ever been before a race and as every lap went on my confidence built. I learnt a lot about myself from this race. Small admits that she got carried away on that altitude trip. Although she has lessons to learn on getting the balance right, she says training thousands of metres above sea level has many benefits. “I got lots of recovery in during my altitude trip, something I don’t get much of when working as a teacher,” she says. “I felt strong, and my times suggested I was in PB form. Unfortunately, having more time to train can be a negative when you normally balance work and training. I got carried away this time. 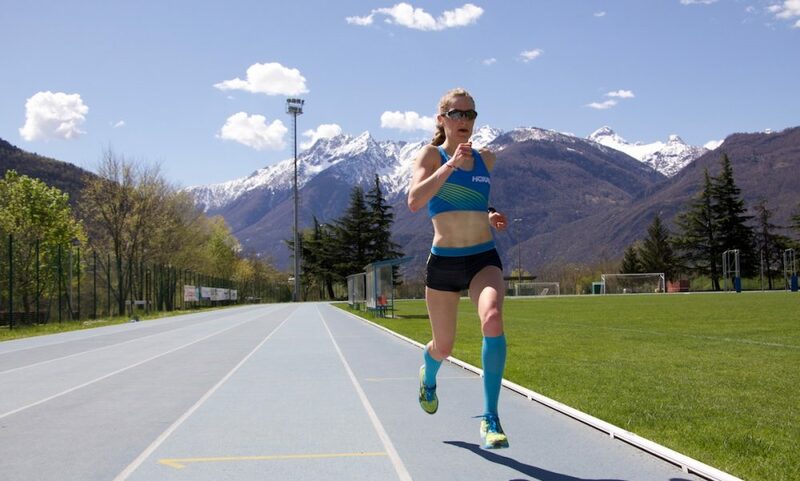 “There are so many pluses to altitude training though, for all athletes, due to the increased red blood cell count created due to the lack of oxygen. This makes it easier to run for a short period when you return to sea level. “It’s a great way to escape distractions and put in a concentrated block of training, in an inspiring environment. I’ve gone four times this year, and have really started to notice the benefits of having lots of short exposures. Small recommends Font Romeu to those on a low budget, and St Moritz if money isn’t as much of a squeeze. 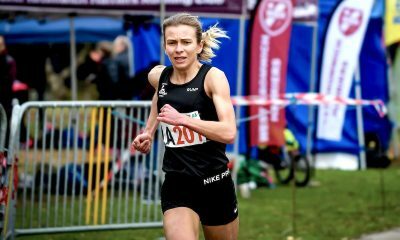 Returning to closer to home, the multiple Hampshire cross country champion is clear that her support network is key to her growing success. 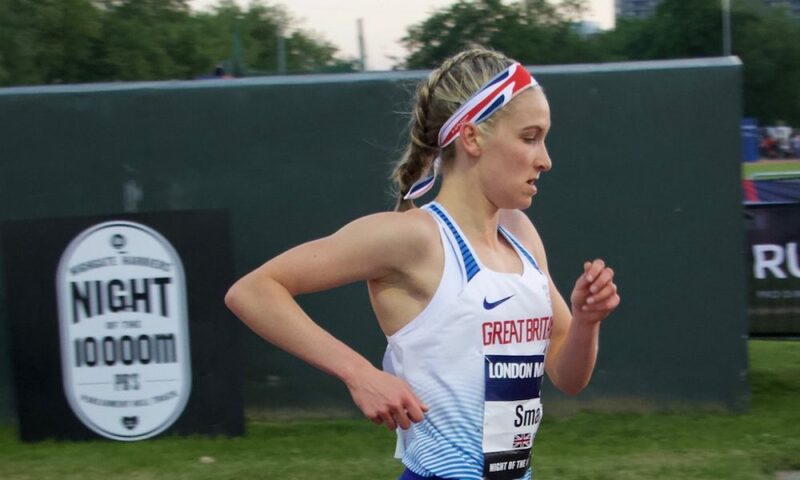 She is grateful for the support she receives from her strength and conditioning coach, Rich Blagrove, her psychologist Stacy Winter, and Christian Poole at the Running Lab in Kew, who has helped with her biomechanics. It is her family, though, who she relies on the most. Small still lives at home with her parents, which makes it easier for them to drive her to all her races – something they’ve done since she first joined the club 12 years ago – and even to St Moritz! She jokes: “If I’m lucky I might have my own house before I’m 30”, a sentiment many young renters can relate to. Small’s parents are clearly a big part of her success story. It’s a move she hopes will enable her to better recover from training without the stresses of working in education. She will instead pursue a part-time MA in Physical Education at St Mary’s University for the next two years. Although her work/study set up has changed, her long-term coaching arrangement has not. It’s no doubt that Mick Woods has had – and continues to have – a huge influence on her career. 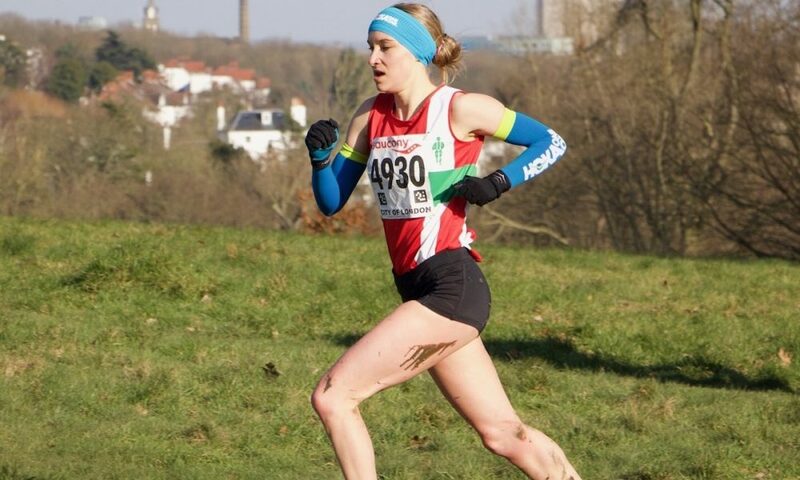 From predicting she would earn her first GB vest within a year of joining AFD (which she did at the World Youth Championships in 2007, where she competed in the 1500m against the likes of the USA’s Jordan Hasay) to helping her visualise herself fighting for a place on the GB Olympics team in Tokyo, Woods has been there every step of the way. She adds: “When I first joined AFD I had no idea of the journey I was about to start. I was in total awe of athletes like Steph Twell, Emma Pallant and Charlie Purdue, and so took my training very seriously from the beginning. She points to the fact that her love for – and strength in – cross country running has been nurtured at the club too. “Cross country has always been an integral part of our development at AFD,” she says. “I’ve been fortunate to be part of a strong girls team, consistently winning individual and team national medals over road and country, through all the different age groups. “This team ethos within the club makes the sport more enjoyable through the hard winter months. Small is back running again now after three months of cross training. She is busy preparing for the cross season, but may run a road race before the national road relays in October first. Long term, she has her eyes on Tokyo – possibly over 10,000m or the marathon. She knows consistent training and avoiding injury is key. She does her steady runs in the Hoka Cliftons (neutral shoes), and her main miles in the Tracers (lightweight with support – she raced the Highgate 10,000m in them as they help reduce calf soreness). Baking success – and failures! However, the support the Aldershot runner is most in need of at the moment is in the kitchen. The creative talent loves to bake, but admits she is about to face her ‘biggest challenge yet’. 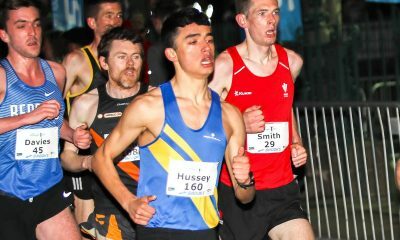 RELATED: Can club runners raise their game with altitude? What does it take to be a top female distance runner?